I moved to a new job in summer of 2017 and was very nervous that the company did not use AutoCad. I was amazed at how user friendly Archicad is and how easily I made the transition. Archicad takes a lot of work out of drawing as once you have your floor plans drawn it automatically generates your elevations and sections for you and should your floor plan change, No Problem! Everything changes with it. 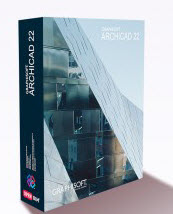 I would highly recommend any company to embrace 3D and choose Archicad as an alternative to other similar products on the market.